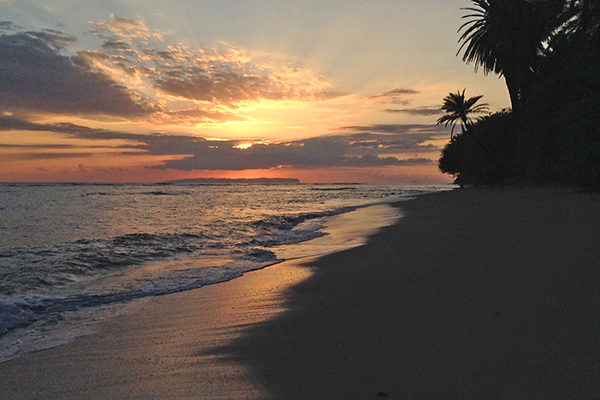 The Westside is the best side to watch the sunset on Kaua‘i. It lingers momentarily over the forbidden isle of Ni‘ihau before dropping behind the ocean. 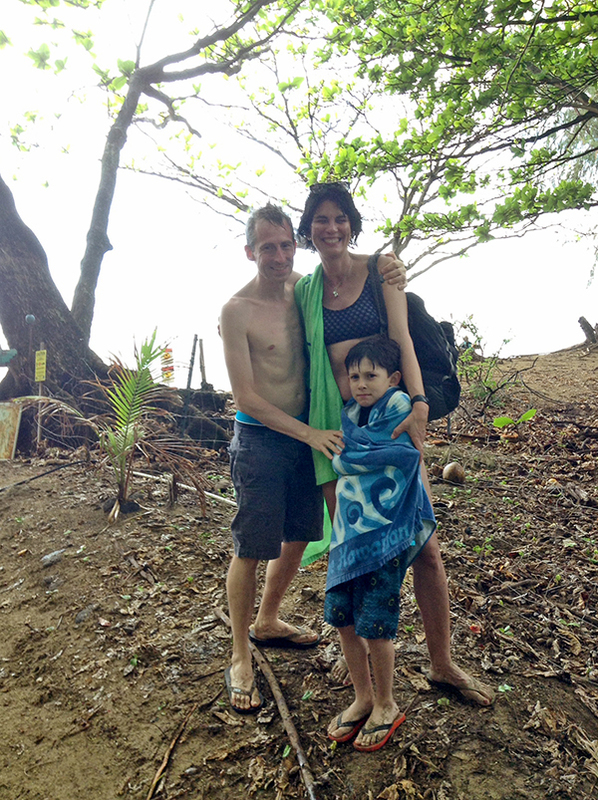 Theo, Nancy and Chip Downes-LeGuin dry off after a swim at Ke’e Beach, at the end of the road on Kaua‘i’s North Shore. It was a no-snorkeling day there due to the high surf. The Downes-LeGuin family, from Portland, Ore. say they are used to rain. Chip said the trip, so far, had been “wet but good.” They weren’t affected by the no-snorkeling rule, as they only wanted to swim a bit. The crew stopped at the Hanalei Farmers Market for some fruits and veggies on the way to Anini Beach Park, where they were staying. Chip, a second-grade student who loves to read, said he and his parents were going to check out some books at the Princeville Library before heading back to Anini. James Rack and his niece James Mead, of Wawautosa, Wis., enjoy a cool morning doing pencil sketches of the Kilauea lighthouse. They share a name as well as an artistic talent. Uncle Jimmy, a retired artist who paints realistic landscapes, spends about a quarter of each year on the islands. 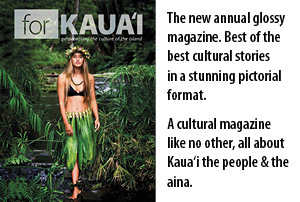 He attended the University of Hawai‘i where he met fellow painter and Kaua‘i resident Gary Smith. The two have been friends for many decades. 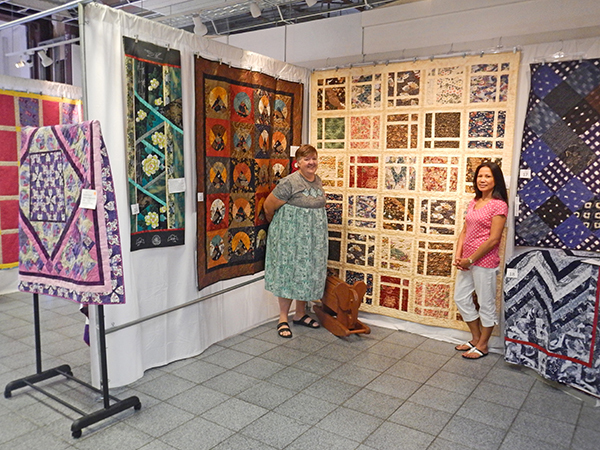 Edna Ray and Cornelia Works welcome the public to admire quilts made by local artists at the Annual Quilt Show at Kukui Grove Center in Lihu‘e. The works ranged from large to small, hand-sewn to machine-sewn and embroidered. “We’ve had a really good turnout this year,” Edna said of the event hosted by the Kaua‘i Society of Artists and sponsored by Kaua‘i Quilt Guild, No Nene Quilters, Kapaia Stitchery, Singer Discount Fabric and Vicky’s Fabric..
Cornelia, on the right, said her sister is selling a quilt at the Relay for Life event in Hanapepe in April to raise funds for the American Cancer Association. The Kapa‘a Skate Park in Old Kapa‘a Town is where skaters practice their passion. Levi from Canada does an aerial maneuver in the bowl.